Half way between St Jean d'Angely, with A10 motorway, and Cognac. 1 hour to the coast, within . . . Spacious 6 bedroom house in Beautiful enclosed garden with pool. Situated on the edge of a quiet village surrounded by vines this house has a south facing . . . 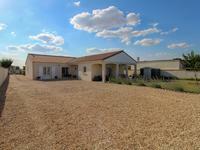 Situated in a large village on the outskirts of Matha ( 5km ) this single level property . 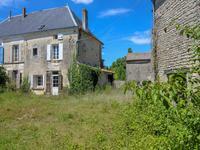 . .
Maison de Maitre to renovate , 4 Bedrooms , 2 bathrooms . Large barn with new roof offering potential for large gite. Near commerces . Large maison de Maitre in need of some loving care to restore back to it’s former glory . . . Situated in a quite hamlet surrounded by vines and uninterrupted views and the south facing . . .
Tucked away in a large village on the outskirts of Matha , Attached stone house with large . . . Built with high quality materials, comprising 5 bedrooms, 5 bathroom and 6 WCs. The house is . 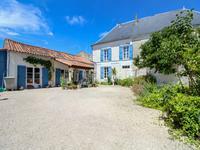 . .
A delightful family home with very successful turn key 5 gite complex in pretty village. This development really is a must see! Successfully run over many years with an impressive . . .
Lovely character property with superb entertaining space including an intact distillery. This spacious 3 bed property is on the edge of a quite village with a large partially walled . . .
Renovated Charentaise house with 2 ensuite bedrooms plus apartment and outbuildings. Hidden at end of private drive in a large village , this charentaise stone property with . . .
Well proportioned 2 bedroom stone house with gite on the edge of a village with large walled south facing garden. 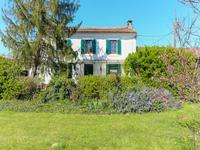 This is a well proportioned 2 bed stone property with Gite and barns 158m2 and workspace . . .
Detached house in village , 4 Beds / 2 bathroom , Workshop and garage . Quiet and private. Pretty detached property with enclosed garden in large village. Ideal Family or Holiday home. . . .
Well presented Charentaise house with 4 bedrooms , Private enclosed garden. Workshop. Offering fantastic Value. 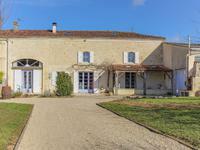 Large Charentaise property offering 4 bedrooms , large living area and pretty private . . . Unique Charentaise house with WOW factor ; 4 bedrooms, Pool and Sauna , 2 garages with additional 3 bedroom property for extra income. Tastefully restored with careful and precise attention to detail , this property will not . . .
** Under Offer ** Detached 2 bed house on the edge of a village with large south facing garden. 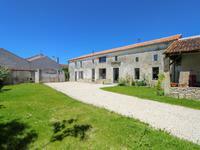 2 bedroom stone house with 158 m2 of barns and workshop space. A short drive in to a local . . . Architect designed Charentaise detached house - 4 Bedrooms and 2 bathrooms. Carefully blending classic and modern . Nr COGNAC. Light and airy , this spacious property which was fully renovated in 2016 sympathetically . . .
Well presented traditional three bedroomed stone house with attached large barn and outbuilding located in a quiet hamlet. Renovated in the last ten years with an attached large barn that has potential to create . 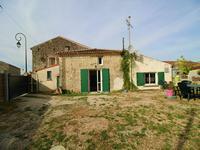 . .
3 bedroom main house with 1 bed maison des amis near Matha, partially renovated with very . . .
Suprisingly spacious property with five bedrooms and two bathrooms and easy to maintain garden. Business potential as a B&B or restaurant. This former restaurant has been transformed into a very spacious family home. It would lend . . .